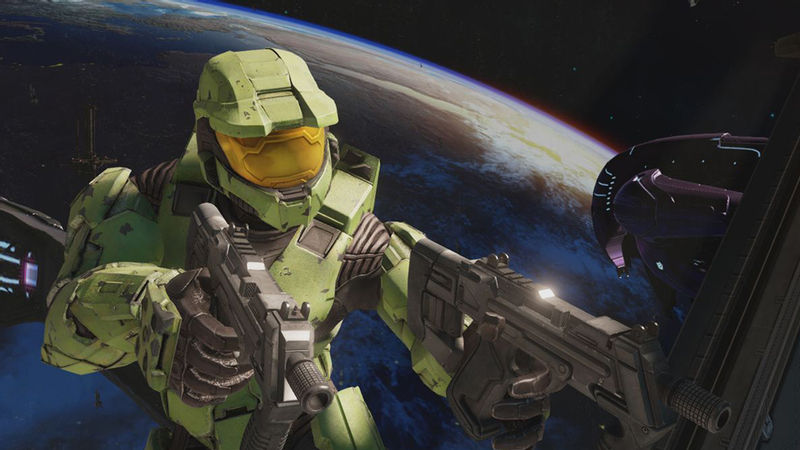 ‘Halo’ has become a lifestyle for me, and it remains the king of all video game franchises. I’ve been playing games ever since I was five. The first system I ever owned was the Sega Saturn, a relatively unknown system for the early ‘90s compared to the Super Nintendo which made its mark on the living room of kids around the country. The Saturn had some noticeable titles that made you think, like Baku Baku and Guardian Heroes, and others that were just weird aesthetic variations of Mario (Clockwork Knight I’m looking at you.) That being said, there were some titles that I will remember the Saturn for: the aforementioned Guardian Heroes and of course Panzer Dragon. Here’s the thing, while I might fondly remember these titles and still have them in boxes in my garage, they’re going to stay in that box. Even if the games were great, I just can’t bring myself to play them again on their original hardware. I guess what I am trying to say is that there are some games you can go back and play and there are others that are destined to remain as memories from childhood, alongside 7UP and Warheads. Fast forwarding a bit to when I was about 10, where I remember having a choice between getting two systems for Christmas. (Lucky me, right?) The two contenders were the behemoths of the video game industry at the time: Nintendo’s GameCube and Microsoft’s Xbox. Both consoles had their value and their hype. GameCube was seemingly the favorite among my friends and other kids at school, as the new console rode the wave of fan adoration that was created through so many sleepless nights with N64. The Xbox on the other hand gained points for being the new system on the block, and one which offered a potentially good, mature-rated shooter. I am of course talking about Halo. 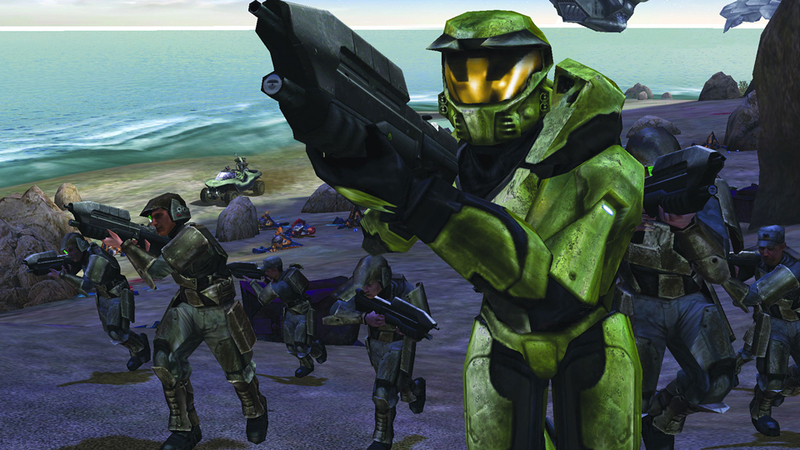 Halo: Combat Evolved released on Nov. 15, 2001. I’ll be the first to admit that at the time of the game’s release, I had no idea what it was. In fact, given that I was in middle school, I was regularly not even allowed to play mature games—Grand Theft Auto and Resident Evil, especially. As a result, the first Halo went by my radar relatively unnoticed. I purchased the GameCube alongside Super Smash Bros. Melee, Luigi’s Mansion, Legend of Zelda: Wind Waker, Super Mario Sunshine and Pikmin, and I was happy, unaware of what I was missing out on on other consoles. I had successfully avoided two homework assignments, missed a meal and completed all but two levels of Halo: CE. I started the Halo-verse by playing Combat Evolved solo on Heroic. Now for experienced Halo players, Heroic doesn’t seem too bad—it’s more or less the intended difficulty of the game—but for someone who had barely played before, it was pretty rough. The first level even, “The Pillar of Autumn,” caused me a significant amount of issues and made me develop a hatred of chain reaction explosions and Jackals, which remain to this day my least favorite enemy in the series. But as I played more and more of the game, I became slowly hypnotized by it, the large set pieces, the non-linear progression of some story missions, the precision aim that was required to play the game and the variations in weapons and enemies that came together to create an entrancing experience. By the end of the first day, I had successfully avoided two homework assignments, missed a meal and completed all but two levels of Halo: CE. Interestingly, my parents, who had such an aversion to violence and M rated games, liked Halo. I guess as long as the violence in games weren’t aimed at other people or innocent animals, it was okay. My first R-rated movie was Alien, so I guess there’s a theme there with my folks. After playing Halo: CE, I moved on to Halo 2 and quickly beat it as well, which left me a few years to refine my multiplayer skills and realize that the Halo franchise was the best franchise I had ever played. Then something weird happened. My family moved from Wisconsin all the way out to California where I would start high school. Slowly, skateboarding and girls began to take up more and more of my thoughts until I rarely even played games anymore. (I say rarely, but comparatively to me in middle school or even later in my life, it was a small amount.) I still occasionally played Halo alongside other popular games of the time like Gears of War, Call of Duty, Rock Band and others, but Halo was a thing of my past, not something I regularly indulged myself in. On Sept. 25, 2007, that changed with the release of Halo 3 for the Xbox 360. It didn’t matter if you were a nerd, a jock, a “popular” kid or a more rebellious type, when Halo 3 came out, nearly every single guy in my school was talking about it, which goes to show just how influential the Halo series was on a lot of kid’s lives in the early 2000s. I got Halo 3 for my birthday one month later, along with my first ever Xbox Live subscription and began playing online. I could talk for hours about the competitive merits and about how Halo 3 had debatably the most refined and balanced ranked matchmaking system of any shooter to date, but that’s not important. What is important is that I realized not only were the Halo campaigns amazing to play through casually, but the multiplayer component of the games was just as good if not better than the single-player ones in some aspects. This is important. The Halo franchise in every iteration contains a balance between fantastic single-player campaigns and competitive, rewarding multiplayer experiences. Additionally the games offer replayability with scaling difficulty settings in the campaign and the addition of speed runs. Essentially there is a lot to do in these games, so much in fact completionists will almost never run out of things to do. Even today, nearly 14 years after Halo: CE’s initial release, people are still playing that game and discovering new secrets, hidden glitches and more optimal ways to beat the campaign. Halo contains a type of longevity that most games only dream of, and it has been doing so in nearly every core iteration of the franchise, and honestly, I have no doubt that Halo 5 will continue the franchise’s success. Has the combat evolved from ‘Combat Evolved’? Where were you when these games debuted? Let me know on Twitter @FlagCap. And be sure to follow us @YouNerded.